Individualized, collaborative, on-site professional services are central to the success of child who is deaf or hard of hearing. At CID, skilled pediatric audiologists, speech-language pathologists, an occupational therapist and a school counselor work with our teachers to ensure each child maintains the best possible learning situation. CID is committed to the continuous use of appropriate listening devices for each child. The daily goal is to maximize learning time. To do this, we aim for optimal use of residual hearing with the device being used, whether a cochlear implant, a hearing aid or both. 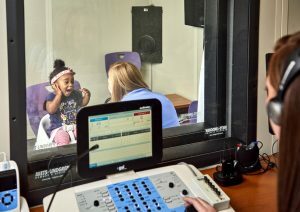 Annually, our experienced, doctoral-level audiologists give each child a comprehensive audiologic evaluation. Throughout the year, they analyze the students’ devices. They program all hearing aids and cochlear implants on-site, as needed, for our students from birth to age 12. They also provide loaner hearing aids and external cochlear implant components. CID audiologists maintain classroom sound-field and personal assistive listening systems to ensure the teacher’s voice is easy to understand above typical classroom noise. They also train our teachers in today’s listening technologies to give each student the best possible educational advantage. 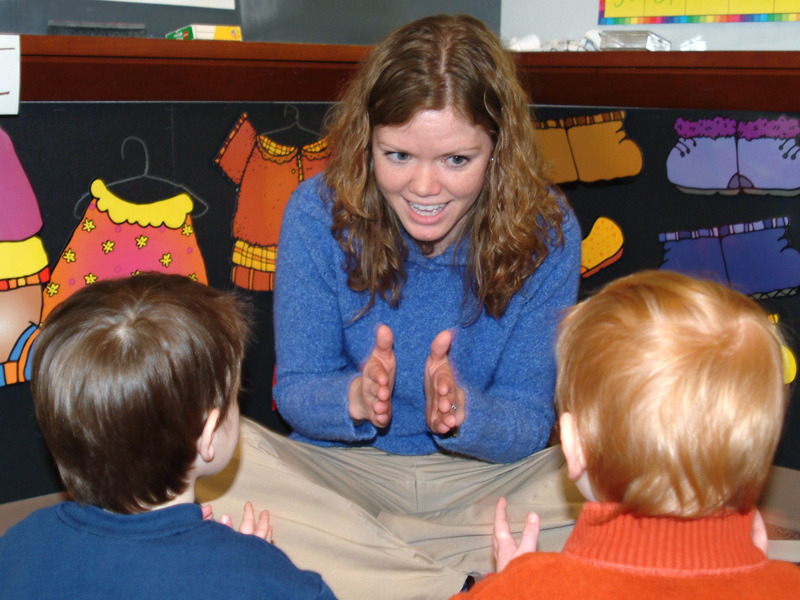 CID’s speech-language pathologists (SLPs) work on-site to develop each child’s listening and spoken language skills. SLP services are provided for CID students of all ages. They include annual evaluations and regular individual intervention and consultation. As part of her masters-level education, each CID SLP received specialized training in the speech and language development of children who are deaf and hard of hearing. 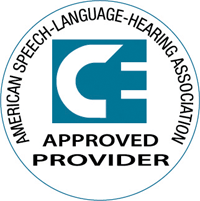 As part of a student’s team of teachers, audiologists and other professionals, SLPs contribute knowledge of typical speech and language development as well as the effects of hearing loss on communicative development and other areas like voice, resonance, fluency, articulation/phonology that may be affected. Each CID student receives a comprehensive speech and language evaluation annually. On-site evaluations are conducted to establish goals and monitor progress in developing listening and spoken language. Formal assessments include receptive and expressive vocabulary, receptive and expressive language and articulation. Our SLPs also record and analyze informal spontaneous language samples as part of each student’s evaluation. CID SLPs target each individual child’s specific needs. They also focus on some characteristic difficulties for children who are deaf and hard of hearing. These include difficulties with suprasegmental aspects of speech, pragmatic language skills and auditory skills. All CID school children and their teachers benefit from observation and individual recommendations from an on-site occupational therapist at CID. The OT collaboration is helping parents to better understand their children and teachers to better identify issues and implement effective strategies in the classroom. Many of our teachers have additional specializations and, when appropriate, they attend classes and consult specialists in additional disciplines. The goal is for each child to get the most out of his or her learning experience at CID. Our CID school counselor, Pat Wasserman, MAEd, is a successful profoundly deaf role model for our students. She teaches a weekly class called Health and Growth. The class covers not only health and growth related topics, but also how to be assertive, how to work toward success and more. Instruction centers around our social skills curriculum, The Second Step Program. Ms. Wasserman also provides small group and individual counseling for children with special issues, for example a death, illness or divorce in the family. When needed, she talks to parents, teachers and coordinators about such issues as they affect the child. She counsels the children as needed on-site and keeps office hours for parents. Kathy Holtman, AuD, CCC-A is the coordinator of CID’s pediatric audiology team. She has more than 20 years experience in the field. She began her career as an audiologist in ENT-related medical practices, ambulatory care and hospital settings. Later, she worked in a nonprofit community health clinic. In 2006, she began working with the pediatric population, which led her to CID in 2007. She earned her AuD at Arizona School of Health Sciences and her master’s degree from Ohio State University. She maintains a Certificate of Clinical Competency in audiology and Missouri State licensure in clinical audiology. She is a Missouri First Steps and Illinois Child and Family Services early intervention provider. Dr. Holtman also supervises graduate students in the Washington University School of Medicine Program in Audiology and Communication Sciences (PACS). She presents annual workshops for providers working with children with hearing loss. Before assuming her current position as audiology outcomes coordinator in 2014, Lisa Davidson, PhD, CCC-A was CID’s coordinator of pediatric audiology for 10 years. 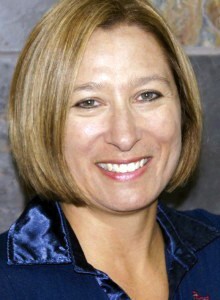 She joined CID in 1987 as an educational and clinical audiologist. She joined the faculty of the CID/Washington University audiology program in 1991 as a lecturer and became an assistant professor in 1996. In 2004, she received a research faculty appointment in the Department of Otolaryngology at Washington University School of Medicine. She continues to conduct research as a member of the CID at Washington University School of Medicine staff. Dr. Davidson holds both a master’s degree and a PhD in speech and hearing sciences from Washington University/CID. She has given workshops and talks at national and international conferences. Her research interests and speaking topics include cochlear implants, bimodal fittings and hearing aids for children. 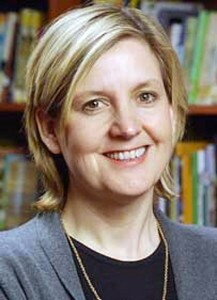 She co-authored the CID Speech Perception Instructional Curriculum and Evaluation (SPICE), used worldwide to help deaf children learn listening and spoken language.